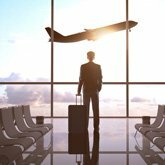 Domestic business travel outpaced the leisure segment in February for the first time since October 2018, rising 3 percent, according to the latest Travel Trends Index from the U.S. Travel Association. While overall travel to and within the US grew 3.2 percent year-over-year, the index continues to project a slowdown in both international and domestic travel growth as a result of rising trade tensions, volatile financial markets and weakening business and consumer confidence. Looking ahead, domestic and international inbound travel are both projected to grow, but at a moderate pace. David Huether, senior vice president for research, said domestic travel growth is expected to decelerate while international inbound travel is projected to remain soft. U.S. Travel economists caution that this decelerated growth rate will make it even more difficult for the US to regain its diminishing share of the global international travel market.